THIRUVANANTHAPURAM: As the state struggles to survive the flood, various non-governmental organisations in the city have stepped in to provide relief to the flood-affected areas. Prominent NGOs and groups in the city such as Prathidhwani, a socio-cultural group of Technopark, Kerala School Teachers Association (KSTA), Faith India Welfare Trust, Nemom, and Santhigiri Ashram, Pothencode, have come out with different plans to help people affected by the flood. Some of them have started flood-relief activities in places such as Kochi and Kozhikode. The IT hub in the city has also launched a bevy of initiatives to aid the households in areas left devastated by the raging South-West monsoon. The socio-cultural forum of Technopark employees, Prathidhwani, has initiated the ‘ Rice Bucket Challenge 2018’ wherein the employees challenge each other to donate at least 5kgs of rice packets. “Each person will challenge five other employees. Usually, this is then given to the non-IT employees working in Technopark ahead of Onam. This time the rice packets so collected will be given to people at Kuttanadu,” said Rajeev Krishnan, secretary of the forum. Last year, 6.5 tonnes of rice were collected from Technopark during Onam. “We hope to target around 1,000 households with this. This is in addition to the dress collection initiative we have started for the people at Kuttanad,” he added. “A campaign for Kuttanad flood relief is currently on in Technopark and provisions and other essentials are being collected. Several organisations in Technopark have come together to spearhead the movement,” said Radhika Viswanathan, a member of Prakruthi. As part of extending a helping hand, the team from Technopark had visited the flood-affected areas. Although the government is providing the people affected by flood in Kuttanad area with food, water and basic necessities, the Technopark team has already given contributions in the form of money in the first phase. Now in the second phase of the Kuttanad relief initiative, they have already started a cloth collection campaign and have requested to collect old and new clothes for all age groups. The clothes can be handed over to the building coordinators or can be dropped at the designated boxes placed in the buildings. City-based NGO, Faith India Welfare Trust, Nemom, has decided to provide clothes, food and medicines to the affected areas in the coming days. C Ajithkumar, programme co-ordinator of the trust, said that they would tour the places across the affected places within two days and will provide necessary help to them. Faith India, an NGO formed in 2002, had provided help to the affected families of Ockhi cyclone earlier. 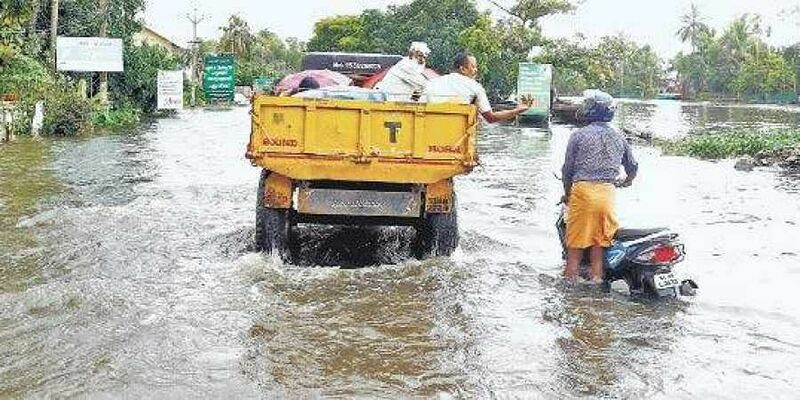 The Santhigiri Ashram, Pothencode, has sought a report from the ashram branches in the affected districts. The assistance will be given in accordance with the report. According to Pramod, AGM, Public Relations, they were committed to extending help to all of the affected families and the respective ashram units had been directed to be alert so as to provide the assistance. Other than NGOs, individuals have also come forward to help the flood-affected victims. Kasthurirangan, a Kochi-based philanthropist has informed ‘Express’ that he would donate financial aid to the affected families. He has earlier provided Rs 1 lakh to a family of Poonthura which left orphaned after the sole breadwinner died in the deep sea in Ockhi cyclone. “ I am deeply concerned of the present situation. As a philanthropist, I have to help the affected people”, he said. The members of the travel forum Sanchari are acting as foot soldiers at Ground Zero. As many as ten members of the travel group are assisting the one of the medical camps currently underway at Alappuzha. “Though there were more volunteers, some had to be sent back owing to the ever-worsening climatic conditions,” said Salim Velikkad, panel admin, Sanchari. The travel enthusiasts have joined a floating medical camp at Alappuzha. The volunteering mission undertaken by Sanchari is in association with NRHM Alappuzha. The Palakkad unit of Sanchari had provided food and provisions last week. The Sanchari team has rented out a boat and equipped with doctors and nurse, the team is traversing the flood-hit areas administering their services. “On enquiring with the district administration, we were informed that help in medical camps and rehabilitation works was required urgently. And that is how we joined in the medical camp. Once the rehabilitation works begin, more members will be volunteering,” Salim added. Kerala School Teachers Association (KSTA) has donated Rs 23, 97,185 to the Chief Minister’s Relief Fund on Thursday for the affected people following heavy rain, flood and landslides in five districts. The fund was raised by collecting the contribution from all the school teachers of government and aided schools in the state. Apart from this, the association has also given clothes, food and medicine to Kottayam, Alappuzha, Wayanad, Malappuram and Idukki. According to KC Harikrishnan, general secretary, KSTA, the relief measures are being extended to the victims in the affected districts.“The relief activities are still on. Medicines, clothes and food are being provided to the respective units in the districts so as to reach it out to the people very soon. More assistance will be given to the families in the coming days”, said Harikrishnan. Sevabharathi, an NGO based in Thiruvananthapuram and Attukal Hospital, is on a mission to ensure relief at flood-affected areas. The team include six doctors and 15 paramedics. Dr Ranjith Hari, district president, Sevabharati, said, “We are going to the flood-affected areas with a team of six doctors and15 paramedics. We are also taking loads of medicines”. He adds: “The team comprising three doctors from Sevabharati and three doctors from Attukal Hospital are on their way.” The team plans to put up medical camps across the flood-affected areas. The team also comprises of volunteers drawn up from the Sevabharathi units across Thiruvananthapuram.